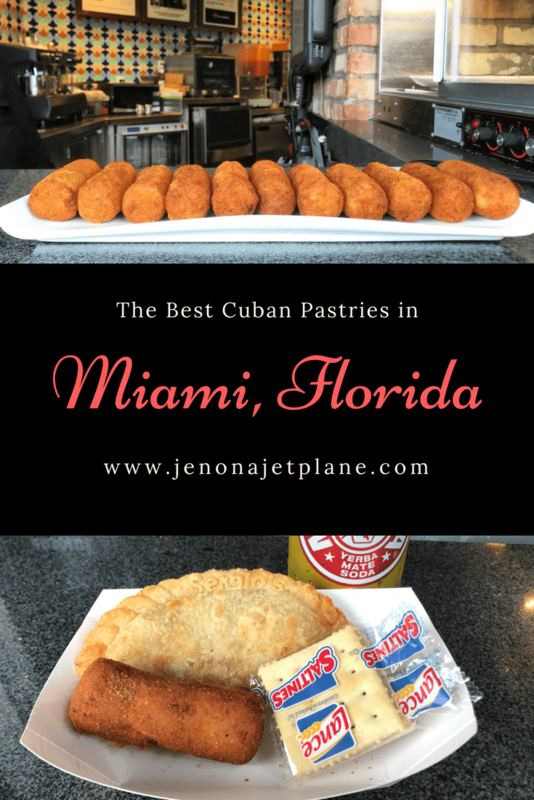 Today I want to share with you a Miami staple–Cuban pastries! You can find a Spanish bakery on nearly every corner in South Florida. There’s nothing like starting your day with a cafecito and a baked good to remind you that you’re on vacation. My personal favorites are the empanadas. I actually make them at home, though not as large. And I would be remiss if I didn’t pay tribute to the croqueta. 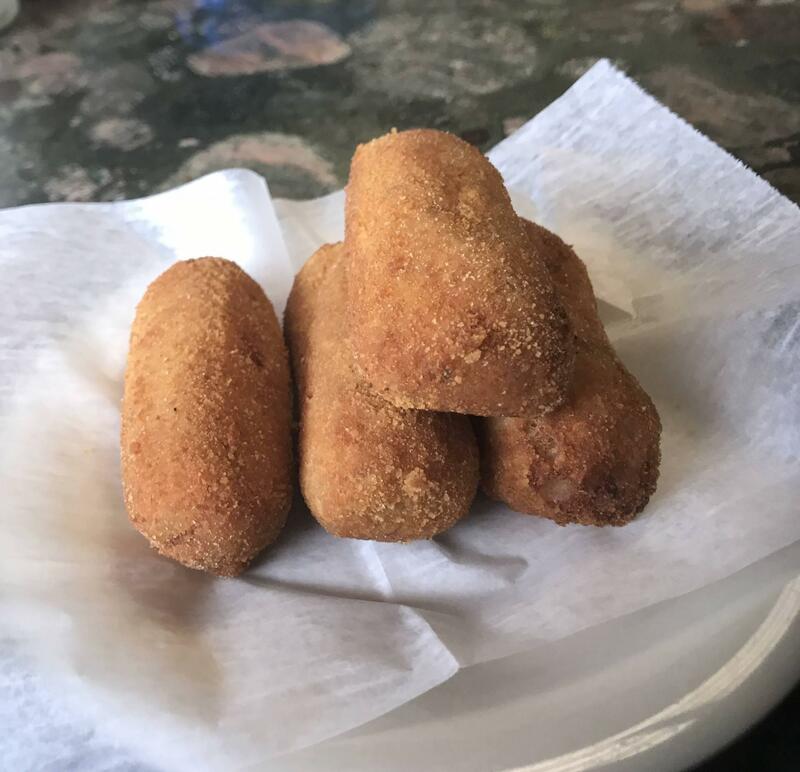 You may be asking, what’s a croqueta? They’re small, bite-sized snacks of ground ham that have been coated in breadcrumbs and deep-fried to perfection. It’s one of the most delectable ham concoctions known to man, and you can’t leave Miami without trying at least one. It’s a savory snack common in Hispanic households and easy to afford when you’re on vacation, coming in at $1 or less each. 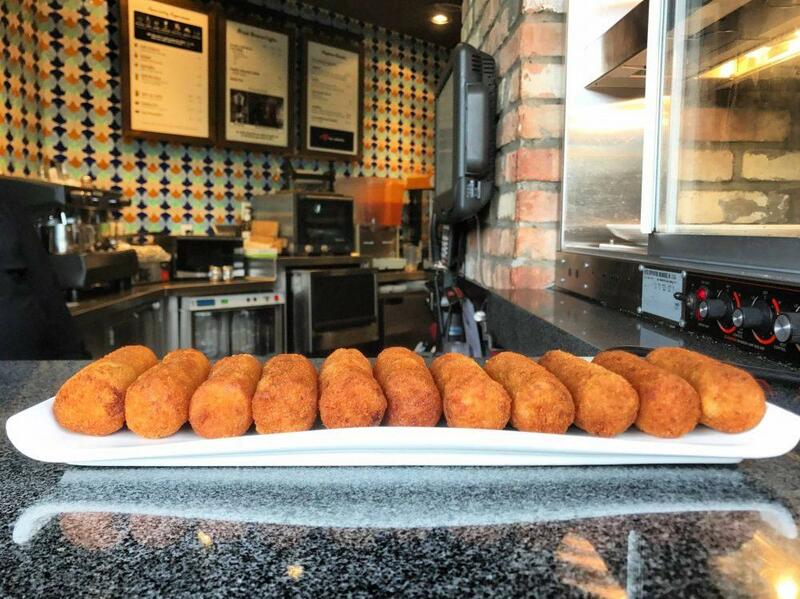 Forget Pringles–you can never eat just one croqueta. 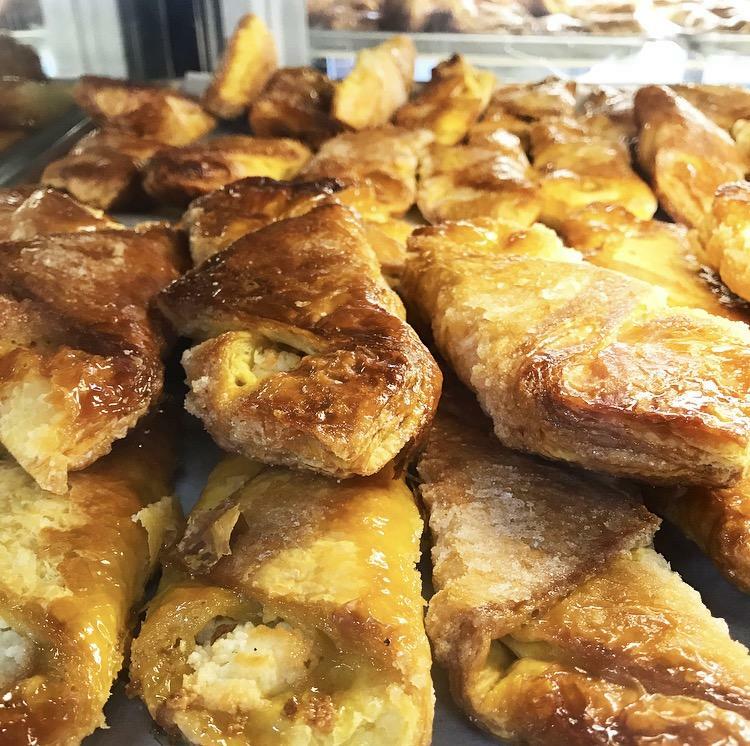 If you’re driving around Little Havana and looking for a place to get good Cuban pastries, look no further than Karla Bakery. 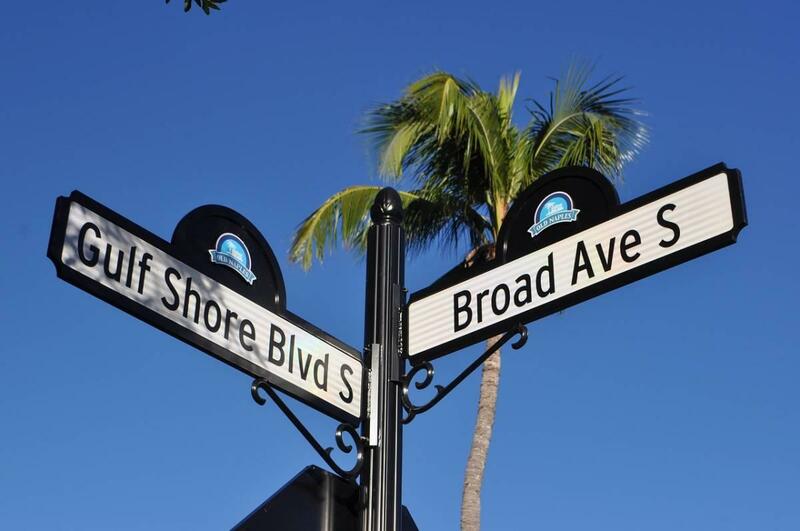 Located right off Flagler Street, they’re affordable, authentic, and sooooo yummy. I cannot stress that last part enough. I relish the whole experience, from finding the place (I always get lost) to taking my time with selecting my treat(s). There are many pastry options available, from cakes to meat pies, so feel free to take a box to-go! Another popular place for tourists to visit is Versailles Restaurant. You can order from the ventanita (outside window) and sip a Cuban coffee while you watch life unfold on adjacent and iconic 8th Street. Locals endorse croquetas from Isla Canarias, with just a hint of lemon or lime. The croquetas at Isla Canarias are fatter than most, perfect if you have a voracious appetite. What’s more, at roughly a dollar a piece, they won’t break the bank. Another popular option is Sergio’s. They have every filling you can imagine, from the typical meat and chicken options to guava or spinach pastries. They also have a window so you can order to go, or sit inside for a more expansive dinner menu. Sergio’s is a South Florida staple; so much so that they have a cafe in Fort Lauderdale Airport. Finally, if you’re looking for a quality bakery with locations all throughout the South Florida area, head to Vicky Bakery. Their pastries are affordable and authentic. If you walk into party with a platter of mixed goods from Vicky’s, you’ll be the most popular person there. So there you have it folks, and introduction to all that is Cuban pasteles, or as I call them, pastelitos! Make sure to grab a few if you’re ever in Miami. Till next time, safe travels! Yes! The bread too, that changes from country to country and I love seeing the variations 🙂 Sounds like you’ve had an amazing sampling of Latin America, hope you enjoy the rest of your time in Nicaragua! WOW! 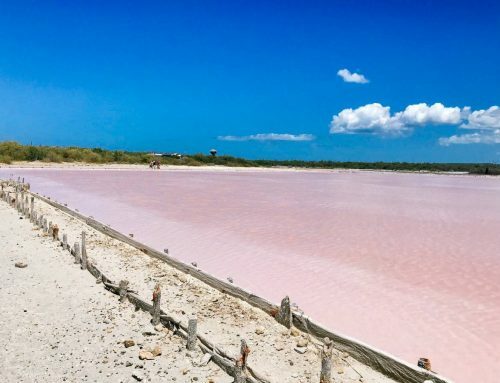 I had no idea these were a thing and now I find myself toying with the idea of a Miami trip JUST to enjoy them. Totally digging your scrumptious descriptions, and I think I’ll be craving a lemon pastry all day. And yes, I also think it’s sad I’ve never experienced a croqueta. Time to fix that. 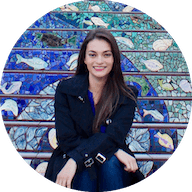 So happy to hear that Anete! Have a great time in Miami and eat lots of great food! OMG. Cuban pastries look awesome! I love anything deep fried, stuffed with sweet or savoury – I will have one of each! Really, you just described my four basic food groups haha. So glad you liked the post Megan! This really made my mouth water! I had a lot of empanadas in Argentina and absolutely love them, I’ve never thought to try making them at home but maybe I should? Gawd, pastries are my favourite type of comfort food. I could eat them all day, I’ve tried a cuban pastry before – so it’ll my aim to see if I can source them locally (UK)! I’ve never been to the Miami area, but this list of local favorites is very tempting! I think I would want to try Karla’s Bakery. Thanks for the suggestions! That’s a great choice Delilah! Usually my go-to 🙂 and you’re very welcome! 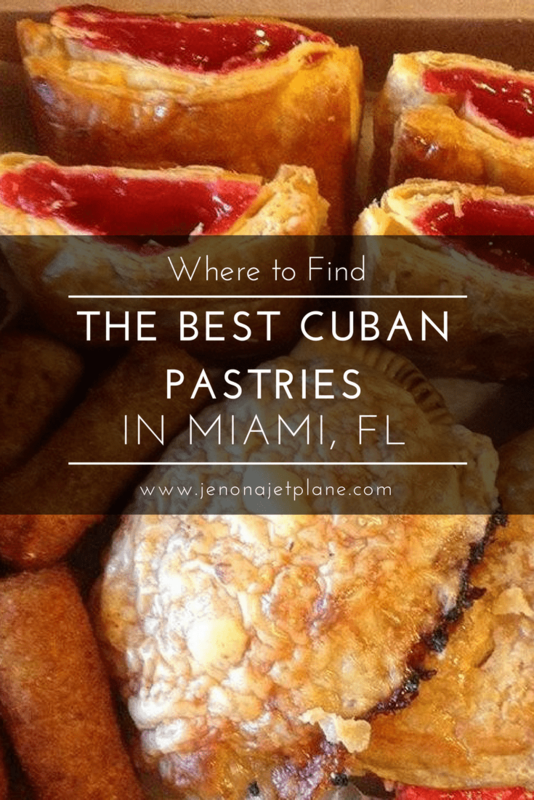 Cuban pastries in Miami must be a delight to find. Thanks for the guide! Often when we go to a place, we expect to have the dishes of that place. But stumbling upon cuisines from different parts of the world anywhere comes as a welcome choice for us travelers. Yum! My mouth is watering. 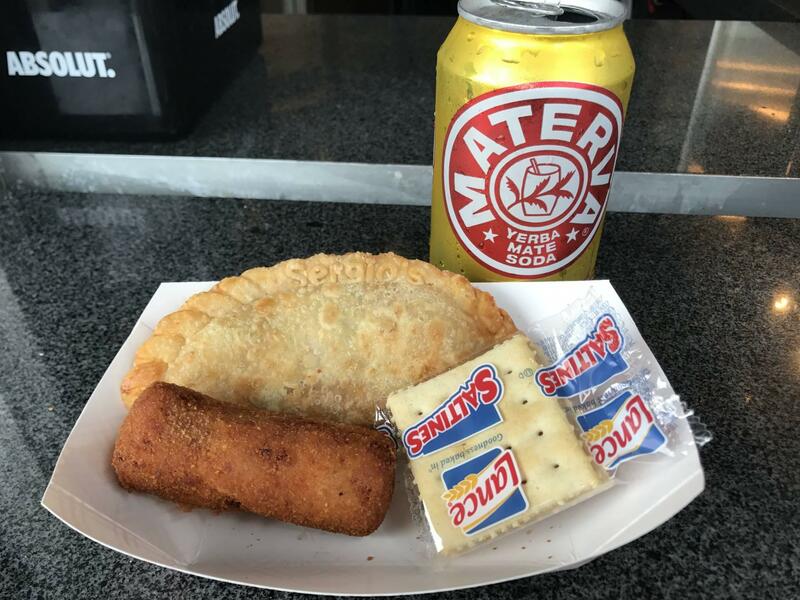 I love empanadas too and your wonderful round-up has me dreaming of a trip to Miami ASAP. Thanks for sharing! I know nothing about Cuban food, I need to check for it in Paris ! Mmmm, they all look super tasty, thanks for sharing.